damn mediafire deleting my ports! I don't think you know what this topic is for. If a Port gets reported broken, the original Submitter (Porter) posts here and gets the broken flag removed. The Porter in your links did not reupload his files. These Ports are offline until someone reuploads them again, in most cases the original submitter. I like to play:FPS, TPS, RTS, MMO. Updated, re-uploaded and that stuff. Also it were in the Port GY but i think i moved to the right section (action) when updated it maybe there is still in the GY, but cant find it. 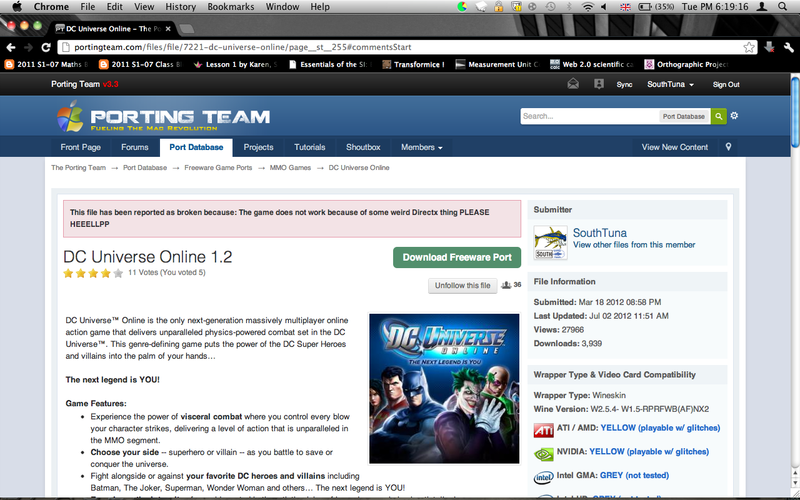 Hey, my Fallout port's link WASN'T broken (MediaFire was just down) and it keeps getting moved to PG cause of it. Could someone un-flag it? I re-uploaded the modern warfare 3 wrapper, the port needs to be removed from the porters graveyard. Thanks. Second is available native and free. Can ya delete this my full port? http://portingteam.c...k-of-napishtim/ because I don't turn on "View Backup Ports" (NEVER) and there are my same two ports. I like to play:FPS, GTA/Fallout 3-type games. Looks like the guy who reported this broken was just a little hasty - the comments show that he got it fixed after a response from the wrapper dev. Can ya deleted my two port demos? Please remove the linkbucks link as it's not allowed. Only direct links to filehosts are allowed. The file has also been deleted by the filehost. Please unflag this and remove it from the ports graveyard (if possible), The files are NOT broken or deleted and has been reported broken for no relevant reason. "This file has been reported as broken because: yeah i think its broken, not oo sure though"
Yeah link was fine, updated link regardless. Can you remove this broken flag on a RCT2 port . The user reported broken even though the file is still downloadable . It seems to be that the user tried to access the file while mediafire was under maintenance . Das Leben ist ein scheiÃŸ Spiel, aber die Grafik ist verdammt geil ! Here is one wrapper with broken link tag, with link that works. and the reason is: "This file has been reported as broken because: When i try to unarchive it with the Unarchiver, it says that the data is corrupted. I am running mountain lion." Someone reported my wiz8 link as broken... but its not. Its just always hard to find Wrappers through Linksave junk which I'm assuming is the problem... but the download link is NOT broken, I just downloaded it fine through the link. Graphics Card:nVidia GeForce 320M 256MB. I like to play:SMITE, LoL, and other games that catch my attention. Usually a wide range of genres. This is just ridiculous. It made me really angry (I'm using the word angry because I'm trying to be polite). Could someone help to remove this, please? It was reported broken simply because the user could not get it working and not because the link was dead. I find this really ridiculous. I would appreciate this. Thanks. I don't have anything else to say, I guess. Why is my port reported broken? its just fine. If you don't post the link to the port as all the other posts in here, we won't be able to tell you, or fix it.